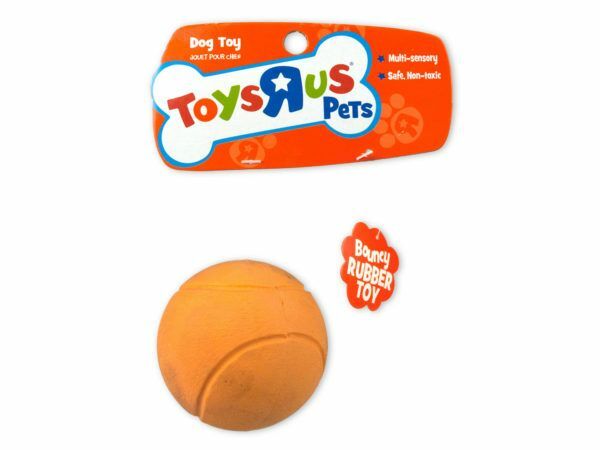 Treat your furry friends and best companion to this bouncy rubber toy ball. It is perfect for fetch and other games inside and outdoors. Your best friend will be thrilled for this multi-sensory and non- toxic rubber ball. The rubber ball is approximately the size of a tennis ball. Comes packaged with a hanging panel.